There are literally hundred of different injuries that a person can suffer due to an injury accident. The Baltimore injury attorneys at The Herbst Firm are aware that every injury accident is unique, and the results of the accident can produce injures to various parts of the body. In addition, the feelings of pain, numbness, or aching that one person may feel are unique as well. 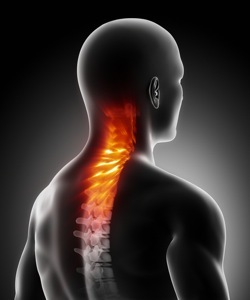 No two people experience exactly the same type of effects from an injury accident, and it is important that a lawyer treat each legal claim for damages as a unique undertaking. The Herbst Firm will thoroughly examine the details of your case in an attempt to come up with a settlement package that is satisfactory to you. If a satisfactory settlement cannot be reached in your personal injury case, we will not hesitate to file a lawsuit and fight for your rights at trial. We do not lump all of our cases into the same bin, and send out the same form letters to insurance companies and our clients. We treat our cases and our clients as individuals, and we give individual attention to both. The most common types of injuries are those suffered from car accidents. Different types of accidents can produce different injures. For example, a rear end collision has a high probability of producing a whiplash injury, while a rollover accident can often produce a head trauma injury. Slip and fall accidents also produce unique injuries depending on the surface of the slip and fall, and the way in which the person fell. Common slip and fall injuries include hip and shoulder injuries, and many of these can be quite serious due to the complexity and sensitivity of the shoulder joints and the hip joints. Wrist injuries and knee injuries are also common results of a slip and fall accident. While severity of some of these injuries will become immediately apparent after the accident, it is important to seek medical treatment after an accident regardless of how minor you think the injury may be. In many cases the full symptoms are not felt for hour and sometimes days, especially when dealing with the neck and back. If a doctor recommends treatment and rehabilitation, it is also important to adhere to these recommendations. Failure to participate in rehabilitation can lead to further injuries down the road, either to the same body part, or to another body part due to overcompensation. For more information on specific types of injuries click on the links below. Remember that only a doctor can give you accurate medical information on your specific injury. This information is meant to guide you in your legal claim for damages suffered. If you or someone you know has suffered from someone else's negligence contact The Herbst Firm for a free consultation. We are available anytime to discuss your potential lawsuit at 410-207-2598.